--points out some of our super special past pages that may become newly relevant like saving money on recruiting in a down market with negotiation tips. --and generally contains info and ideas that I think are of interest to hiring managers and recruiters! So subscribe now to begin receiving valuable updates about finding and hiring employees! Continue reading "Recruitment agency illegal practices"
Continue reading "W2 Early filling"
Learn how to use pre employment testing to improve the qualities of your hires. Testing is by no means perfect, but when used properly, it can help you make better hiring decision. Continue reading "Pre Employment Testing - A How To Guide"
The sample job analysis - an example of what to include and how to organize it. There are job description software programs that can help but the best method is to do it yourself. Continue reading "Sample Job Analysis - What it should look like"
Your recruitment strategy defines how you will attract top candidates. Learn what to do and what not to do. Continue reading "Recruitment Strategy - How to attract top candidates"
Continue reading "Free Resumes and other cool stuff!" Advanced Search Engine Operators are terms are used by search engines to help the user look at specific parts of a web page to narrow down a search to specific types of content and information. Continue reading "Advanced Search Engine Operators to Find Resumes"
Continue reading "Online Resume Search"
How to create a staffing plan for an auto garage. Continue reading "How to create a staffing plan for an auto garage. " Appropriate Interview Panel Members - Current Supervisor? 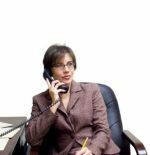 Continue reading "Appropriate Interview Panel Members - Current Supervisor?" An interview evaluation form helps remove the gut feel from the selection process. Continue reading "Interview Evaluation Form"
The Recruiting Plan is the first step in your hiring process. It starts with a job analysis and ends with a resource list. Continue reading "The Recruiting Plan"
how effective recruiting contributes to an organisations success? Continue reading "how effective recruiting contributes to an organisations success?"